Hubby and I took leave from work to bring the kids outdoors. Thought of Marina Barrage for a change (been going to Marina Bay Sands a lot recently) of environment. 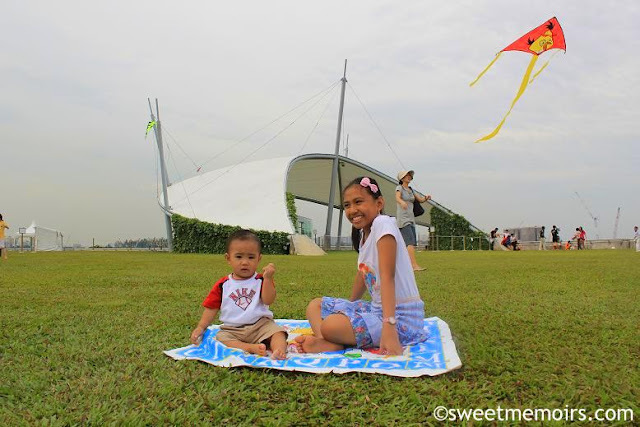 Marina Barrage Green Roof is a popular place for kite flyers. 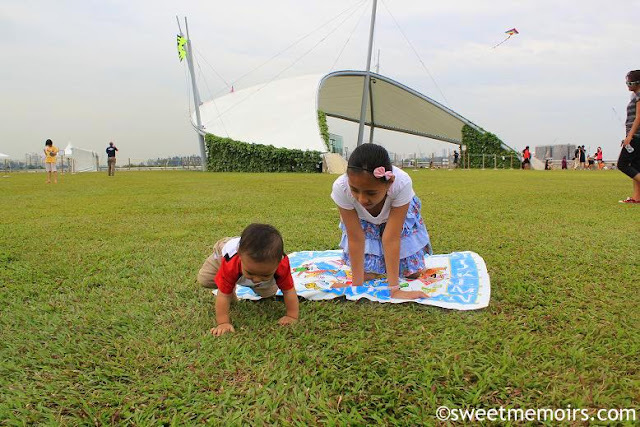 Since we didn't bring any kite with us, I took the chance to do outdoor photoshoot for the kids. 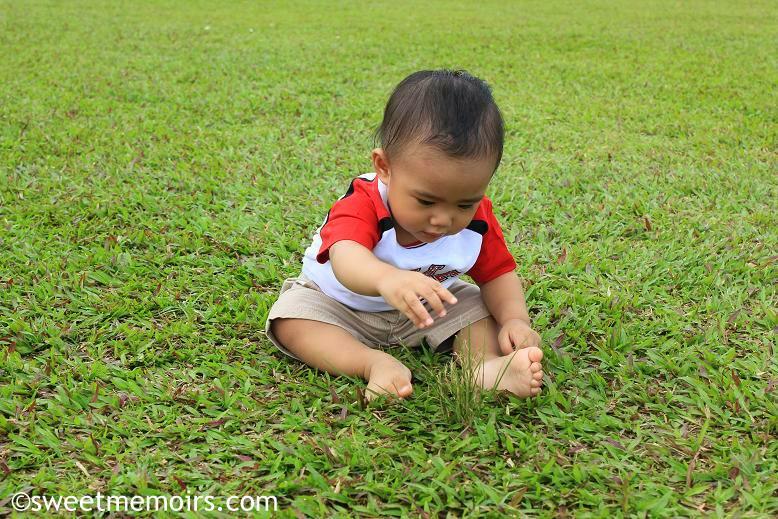 Baby Gian chose sit on the grass. 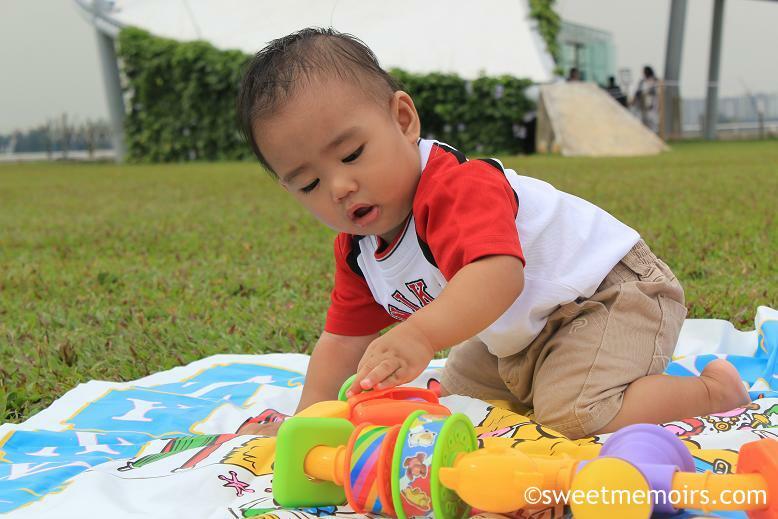 Brought his Sesame Street picnic mat but he was quick to get away from it. Just had to make sure he didn't put any grass into his mouth. He willingly went back to the mat when I put his stroller's toy barrier on it. After a while, Baby Gian got hungry and sleepy so it was Ate Kyla's turn. Ain't my big girl so pretty? She's a Winx Club Girls fanatic and obviously, she loves anything pink. I let her style herself most of the time. 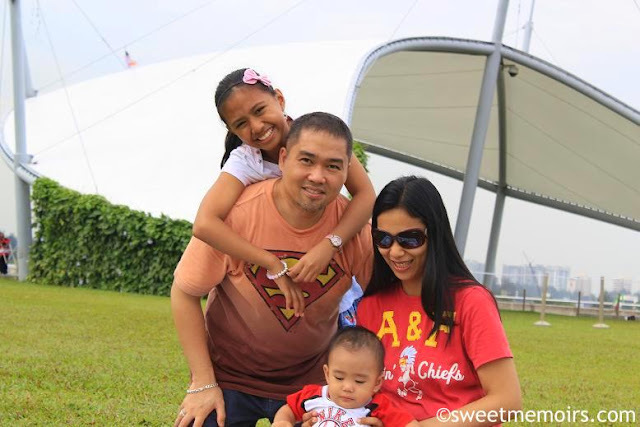 Thank God for adding another perfectly ordinary page in the book of our family life. Any day with family is a special day ! The kids are growing fast and I agree with you Kyla is very pretty and to add to that she is a little fashionista like her mom ! haha! 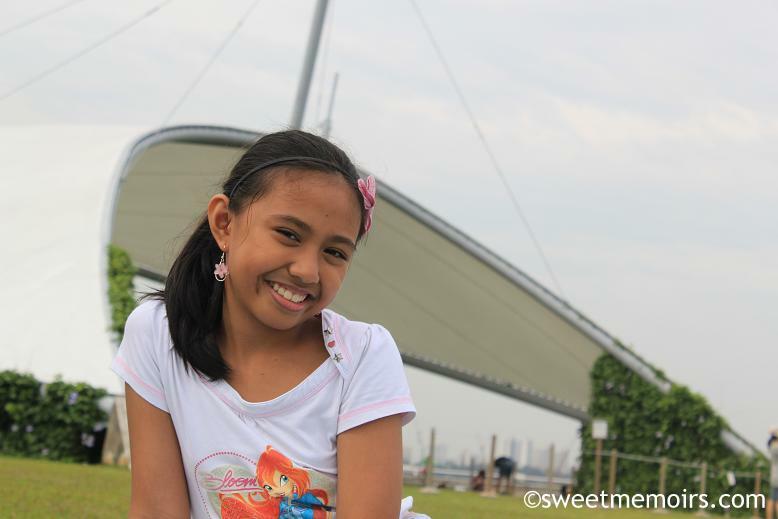 dear Kyla looks very dalaga and cute! Such lovely family photos! Lots of happy smiles all round!